Home means family, warmth, values and closeness. 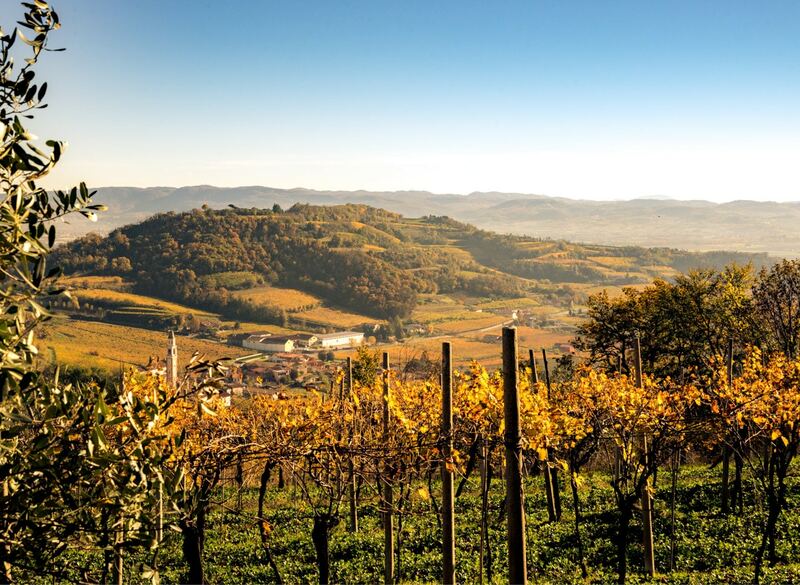 Each home has a beating heart, and ours is the winery at Selva in Montebello Vicentino. Yes, we meant home and not company because our work is this: the home that our ancestor Giovanni bought in 1928, that gave us the beginning of our story about vines and life. The home, where the Cavazza family began making wine nearly a century ago, holds everything dear to us: memories, traditions, ambition to look towards tomorrow, and a love for things made with care. The winery at Selva is immersed in the greenery of our vineyards, a small and historic piece of land handed down from father to son, along with an ancient winemaking tradition. 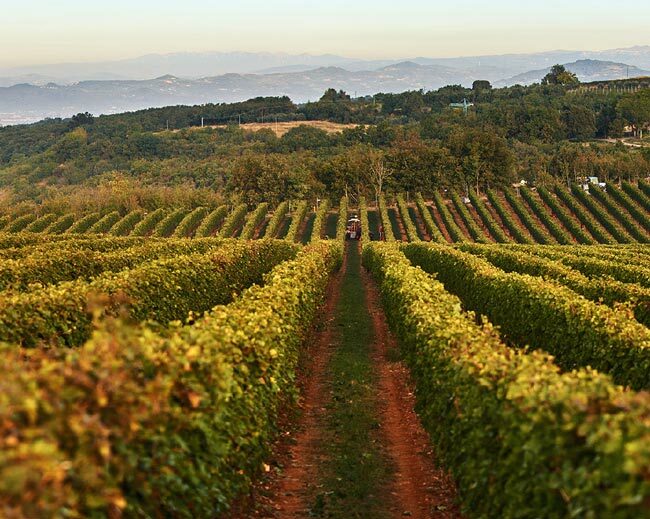 We affectionately call these vineyards by name; Creari, Bocara, Capitel and Selva. After World War II, the family acquired around 100 acres in the Gambellara zone, one of the unique areas of Italy with a volcanic origin. The undisputed queen of these hills is the Garganega, always in search of precious minerals with her gnarled roots. The Garganega adapts perfectly here, finding its fundamental nutrients in the volcanic soil: iron, magnesium and other necessary elements hidden under a layer of black basalt. This vital amount of minerals becomes the common thread in our white wines. 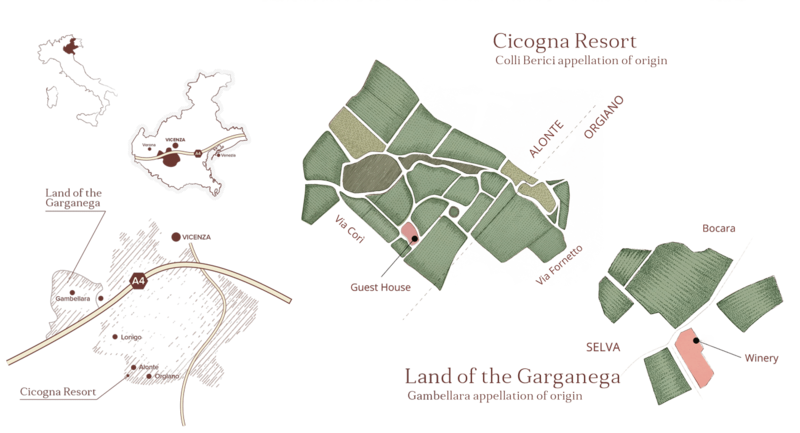 The Cicogna Estate is a single plot of land, where neatly combed rows of vines grow amongst an untamed forest. There the soil is ﬁne and red, and dotted with white limestone and marine fossils, a testimony to the ancient evolution of the soil. The terrain is suited for the cultivation of many types of red berries: the historical varieties of the Colli Berici like the Cabernet, Tai Rosso and the Carmenere, growing together with experimental varieties such as Syrah. 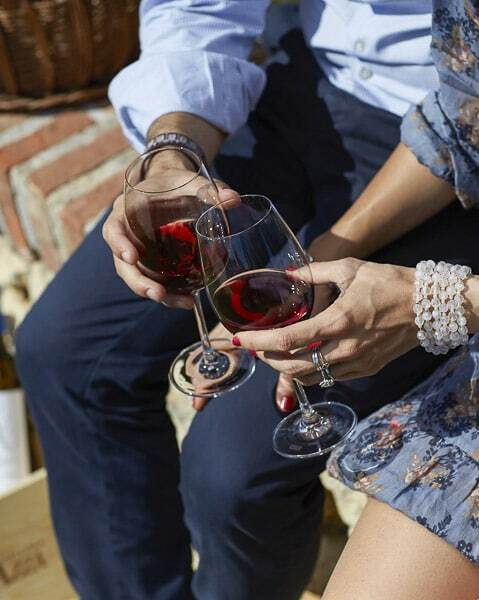 Pampered by a climate that is warm with mild rainfall, the vines are carefully attended to all 12 months of the year during their growth cycle. Pruning, thinning, and selecting the clusters to manually harvest are some of the fundamental steps. Continuous research brings us a line of red wines that are an authentic expression of the land: strong, mineral rich and full of impact. 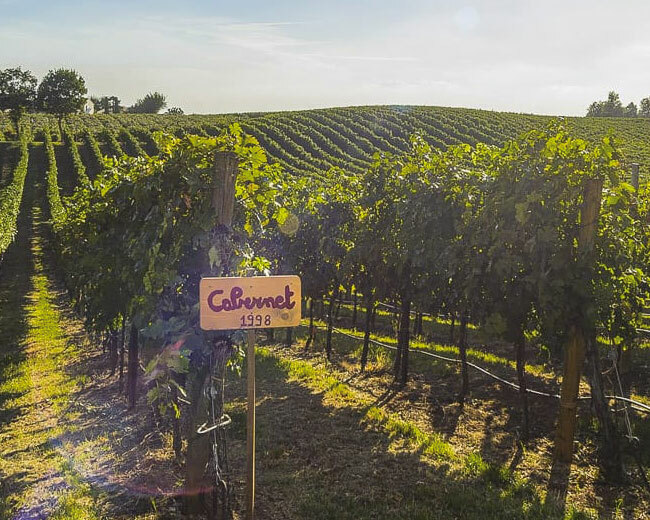 Protecting the landscape and preserving its extraordinary beauty is our responsibility, just like creating a product of excellence like Cavazza wines. This responsibility is reflected in the management of our vineyards, guided by our personal manifesto of sustainable viticulture, with these precise cultivation characteristics.